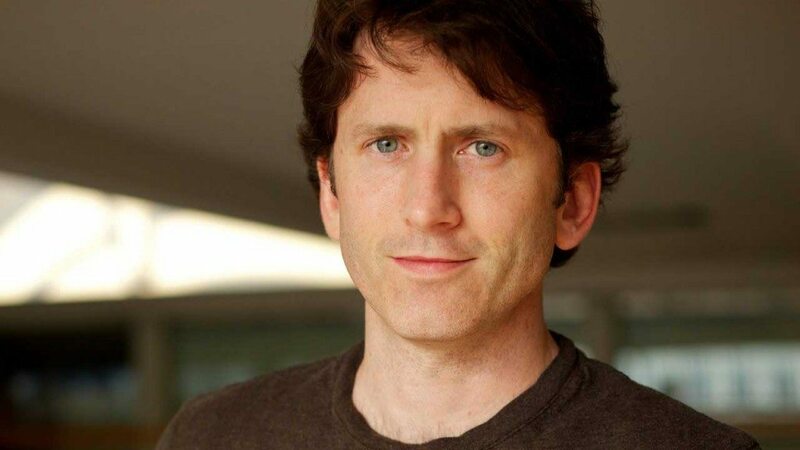 Todd Howard has been a chief designer and director at Bethesda Game Studios since before Elder Scrolls and Fallout went 3D. He went on to guide both series into the third dimension, and has kept both franchises at the forefront of gaming consciousness, growing them with each landmark release. Howard joined back in 1994, first working as a Producer and Designer on The Terminator: Future Shock and SkyNET. He worked on The Elder Scrolls II: Daggerfall and the spinoff Adventure Redguard, but his promotion to Director of Elder Scrolls III: Morrowind was where he would truly impact the industry, and begin his legacy. Howard’s vision for Morrowind was to give the player true freedom in playing the way they wished. As an evolution of the ES series, Howard wanted the NPCs and environments to feel more unique. Morrowind’s NPCs were just like the playable character, having their own stat sheets and inventory. As Howard put it, if you spotted a cool helmet on an NPC, you could try to swipe it and see what happens. The environments of Morrowind were now hand-crafted as opposed to the random generation of previous entries. This is a remarkably huge task for such a large game, especially when you consider how much of the game will not be seen by players. For me, Morrowind nailed the feeling of exploring a new land as a nobody. Arriving as a foreign prisoner in a place that hates foreigners was unforgettable. Stepping off the ship to navigate your mysterious quest stuck with me deeper than Oblivion and Skyrim could. In the beginning, half the Elder Scrolls team worked on Oblivion tech, while the designers and artists toiled on Morrowind expansions. The team was fractured again to optimize the PS3 code, which was different from the Xbox 360 hardware. Howard called the 360 the easiest to develop for, criticizing the PC landscape as a “random amalgamation of graphics cards and RAM and processors…”. After Morrowind’s success, Howard had a slightly different vision for the sequel. A tighter experience with less ‘filler’. Oblivion would feature improved AI, physics, and visuals, as the team was given extra time to develop for the new generation of consoles. Bethesda produced procedural-generation tools to create varied landscapes that required less hands-on time from the team. Oblivion featured “full facial animations, lip synching, and full speech for all dialogue”. It was the hi-tech vision of the series that struck a chord with mainstream audiences. And because of its success, the next ES would be monumental. But first, Bethesda would bring another giant franchise into the modern era. For me, Fallout 3 was a landmark game. At that time, I still frequently gamed on various consoles, but hadn’t kept up with the 360/PS3 generation until a girlfriend bought me a PS3 for Christmas of 2009. Fallout 3 was one of the first games I tried and it sucked me in hard. Although I lost interest in the main story when it became a formulaic fetch quest of turning on switches at a water facility, I loved my time exploring the wasteland. The first moments emerging from the Vault and then moving on from Megaton city, when roving bandits still felt incredibly dangerous, were just as impactful as my time spent with Morrowind the previous generation. Fans of the first two Fallouts have lobbied plenty of criticism at Fallout 3’s ‘Elder Scrolls with guns’ formula. They claim Bethesda lost the grey area tone and mature character interactions of Fallout in favor of a flashy VATS system and simplified morality (blow up town or not blow up town). While Fallout 3 is definitely simplified, it still managed a great sense of atmosphere and immersion, winning a new legion of fans. Oblivion and Fallout 3 introduced a large audience of console gamers to open-world RPGs and this made Skyrim’s release a monumental event. Howard spoke with Game Informer about Skyrim’s large reach and the core vs casual argument. PC owners have historically feared their favorite franchises also appearing on consoles after Deus Ex: Invisible War made significant sacrifices to appear on PC and Xbox. Howard wanted Skyrim to get back to the mysterious exploration of Morrowind. “With Oblivion, we’re dealing with the capital province, and we wanted to get back to the more classic Arena and Daggerfall feel of a fantasy world that felt more refined and welcoming, a place that you instantly understood. But in that, we sacrificed some of what made Morrowind special: the wonder of discovery. Skyrim has a rich modding community and recently saw remasters for PS4/XB1 and even a portable version for Nintendo Switch. The legacy lives on, and will only fuel the anticipation for the next Elder Scrolls. In this age of long hype cycles, Bethesda refreshingly dropped a bomb at E3 2015, announcing the next Fallout would release in just a few months. Shortly after the release I went for a haircut and happened to have an EB Games bag with me. The barber asked me if it was Fallout 4 (it was actually a heavily discounted Killzone: Shadowfall). The barber wasn’t even a fan of the game, he had just heard so much about it. My girlfriend’s friends constantly asked me what was the new game coming out their boyfriends had warned them about. The gaming world was prepared to set aside serious questing time. Fallout 4 made a few changes. It streamlined the dialogue system, introduced a building minigame, and placed a larger emphasis on a main quest that critics felt broke immersion. A parent chasing after their abducted child is compelling, but in a franchise known for embracing side-quests, it worked against how many players wanted to play. On the positive side, the shooting systems felt much more solid than previous versions, and – although buggy – many gamers loved the town building mechanics. Through its ups and downs, Fallout 4 continued the tradition of creating livable worlds. Talking to Geoff Keighley at the Video Game Awards, Howard talked about Elder Scrolls VI. Hearing that ambitious tech will be used is an exciting proposition for a series in need of a shakeup. Morrowind is my favorite ES because it felt unique. Another Skyrim is not what I’d like to see. I’m much more interested in Howard’s depiction of a game we couldn’t imagine in today’s gaming climate. Do you have a favorite memory from a Todd Howard game? What would you like to see in the next Elder Scrolls? Let us know.